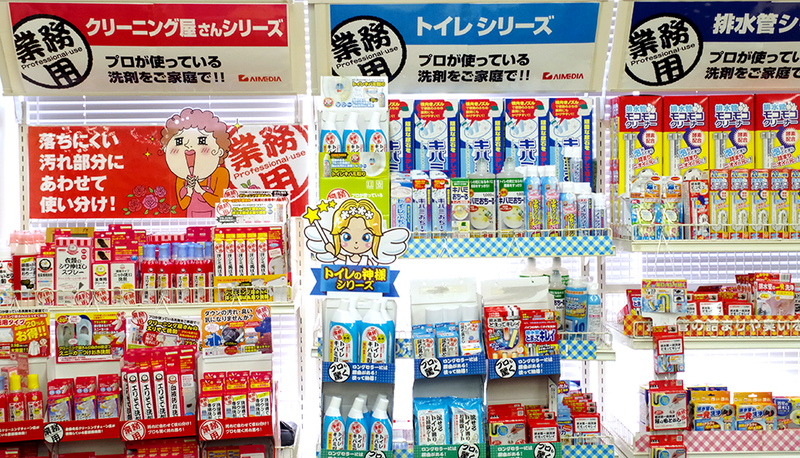 Our products, mainly detergents and cosmetics made in Japan, are often purchased by the visitors to Japan. We are currently looking for the overseas distributors who sell our products. The distributors in the following countries and regions are especially needed. *We already have designated the exclusive distributors in China and Taiwan. We, Aimedia Co., Ltd., not only exports our products, but also aims to expand sales through our supports such as joining the business talk with the buyer of retail shop, providing the information about import license and providing the product image and video.